This page covers the author of Blood, Toil, Tears and Sweat: The Great Speeches (Penguin Classics). For other authors named Winston Churchill, see the disambiguation page. 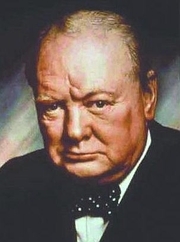 Winston Churchill (1) has been aliased into Winston S. Churchill.